Paul Keller pens his column - 'Beneath Wy'east' - from his home in the shadow of Mount Hood. All of the following absolutely true nuggets are absolutely guaranteed to make your day. You can thank me later after you impress your workmates, friends and family with these amazing factoids. 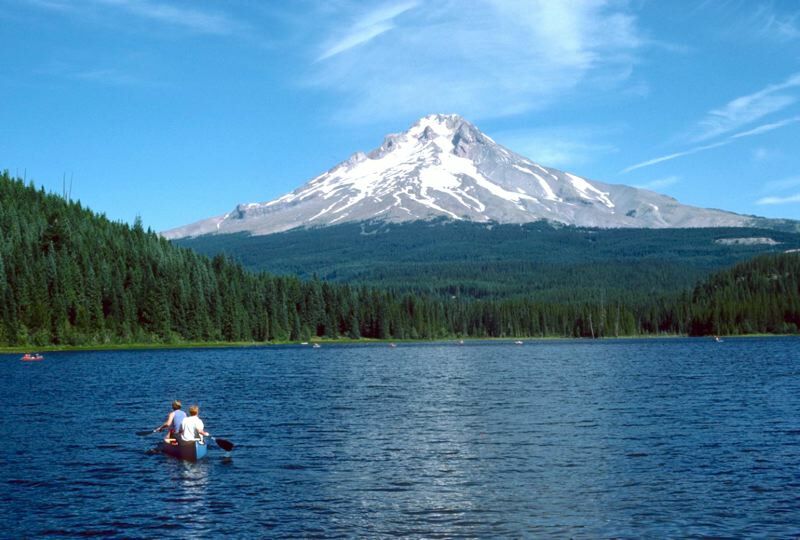 You're probably familiar with Trillium Lake, our popular, ever so photogenic 65-acre body of water sparkling there in the Mt. Hood National Forest just seven miles south of Mount Hood's magnificent peak. But I bet you're not familiar with its true genealogy. First off, this is not a natural lake. We dammed poor little Mud Creek to form it. So, for all intents and purposes, it should be known as Mud Lake. But such a moniker would not have pleased the aesthetically-inclined folks who came up with the original notion and implementation plans for creating this human-made body of water. After Timberline Lodge was built, somebody high up the food chain believed that looking out through the prominent south-facing windows at our glorious Oregon Cascades and picturesque snow-capped Mount Jefferson just wasn't enough visual stimuli. This line of thinking went that the Timberline Lodge visitors deserved to see a little lake reflecting back up at them, even if Ma Nature hadn't provided one. Bill White, our local (unofficial) Mount Hood historian has actually shown me hard copies of the initial historic correspondence between a U.S. Forest Service landscape architect from the Pacific Northwest requesting that Mud Creek provide a scenic lake for the Timberline Lodge tourists, and the reciprocal responses and communiques he received from the main Forest Service headquarters back in Washington D.C.
We all know the rest of this story. Once I learned the truth about Trillium, I've been calling our little local lake by its true namesake. After all, what bubbles forth from Mud Creek should be known as Mud Lake, right? Silverton is located approximately 50 miles due south of Sandy. So this next blow-your-mind true tale has its roots in our very own extended backyard. It's the summer of 1923. The Brazier family, husband Frank, wife Elizabeth, and their two young daughters, Leona and Nova, along with their dog Bobbie, all climb aboard their auto, an Overland Red Bird touring car. They drive from their Silverton home all the way across the United States to visit relatives in Indiana. During a stop in Wolcott, Ind., three dogs attack Bobbie. The outnumbered 2-year-old Scotch collie/English shepherd mix, a lover not a fighter, runs away. Despite all of their efforts, the broken-hearted Brazier family cannot find their beloved Bobbie. They must depart for their substantial journey back to Oregon without him. They know they will never see their adored four-legged family member ever again. Six long months later, a mangy, dirty, scrawny pooch with his toenails almost completely worn off, is seen ambling down a Silverton sidewalk. No way? Way! It is the Brazier's Bobbie. Talk about an incredible journey. That dog defied the odds and traveled almost 3,000 miles, including crossing over the Continental Divide during the coldest part of the winter. After Bobbie's remarkable return to Silverton, his story receives national attention. The Associated Press features Bobbie's tale in newspapers across the country. Next, people from Indiana to Oregon write letters back to the Braziers informing how this friendly and polite stray dog had showed up at their doors, stayed and rested with them for a few days, and then was gone. It was Bobbie. 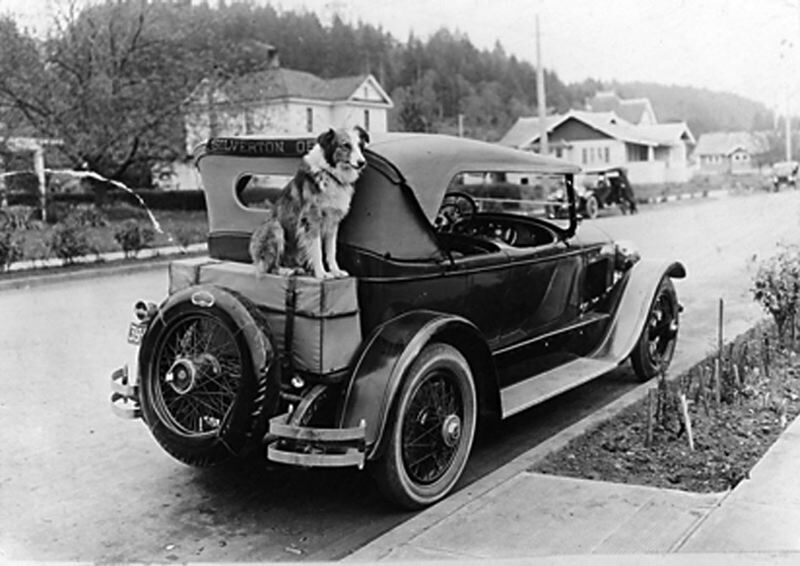 The Oregon Humane Society was able to use these first-hand accounts to assemble a relatively accurate description of the overland route that Bobbie took. It basically retraced the Brazier's trip home. Four years later, in 1927, when Bobbie died at age 6, he was buried with honors at the Oregon Humane Society's pet cemetery in Portland. His final resting place is a grave located inside a little white house with red trim that you can still visit there today. Next time you have a challenge that you don't think you can meet or overcome, just think of Silverton's Bobbie. When I was a kid, I remember being amazed when I learned about the remarkable, courageous triumph of "Doolittle's Raid Over Tokyo." You're probably familiar with this amazing slice of American history from World War II. But there's an endearing behind-the-scenes related fact that you might not know about. First, here's a summary refresher on this historic United States military feat. After the Japanese military's successful surprise attack on Pearl Harbor in December 1941, America needed a morale boost as well as a significant military victory. Enter Lt. Col. James "Jimmy" Doolittle. He was the mastermind of an against-all-odds air attack raid on Japan's mainland capital, Tokyo. Japan was certain that, thanks to the sprawling Pacific Ocean, it was immune and protected from any potential U.S. surprise attacks. Before the war, aeronautical engineer Doolittle had been a well-known military test pilot. His seemingly implausible plan was to launch bombers off an aircraft carrier positioned a safe and undetected 600 miles from Japan in the western Pacific Ocean. These 16 B-25 bombers and their five-person crews would only have enough fuel for a one-way mission. There would be no return trip to the aircraft carrier. After dropping their bombs on their designated military and industrial targets, the plan was for these men to continue flying west to try to make it to a "safe" part of China and land wherever and however they could. 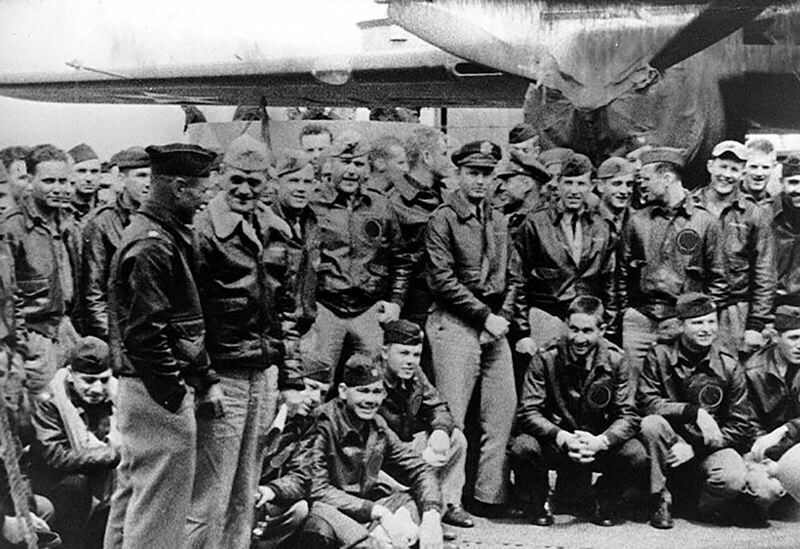 This group of 80 airmen, from all walks of life, who volunteered for this top-secret mission had no idea what it entailed. They only knew that it would be extremely dangerous. They were selected for Doolittle's daring ploy because they were the crème of the air corps crop. Amazingly, all 16 aircraft reached Japan and successfully bombed their targets. Fifteen of the bombers made it to China and endured crash landings, which their crews survived. One of the bombers landed in the Soviet Union. Eight airmen were captured by the Japanese Army in China. Three of those men were later executed. The surprise bombing attack of mainland Japan successfully demonstrated that Japan was indeed vulnerable to American air attack. This gutsy operation therefore provided that important, much-needed boost to the overall American morale. And here's the updated noteworthy insight that I gleaned a few years back on a National Public Radio program. As history has recorded, Doolittle didn't share what this mission was with his 80 airmen until long after they'd set sail on that aircraft carrier, the USS Hornet. In fact, it was just before they were to make their perilous attack when Doolittle gathered everyone together to reveal what he was asking of them. On this radio program, they were interviewing an elderly Doolittle Raiders' pilot. He explained how after Doolittle had fully briefed them on this unbelievably risky operation, he informed them that probably half of them would never make it back alive. He predicted that as many as 40 of these 80 men could be killed on this treacherous undertaking. The radio interviewer asked the man what his reaction was. His answer: "Every one of us looked at the other guy standing next to him and thought, 'You poor son of gun.'" My last noteworthy nugget has a bit of controversy swirling around it. You're probably familiar with the adjective "posh" which means elegant, swanky, high-class. Way back when I was attending the University of Oregon, one of my most appreciated and admired English professors, the brilliant Dr. Carlisle Moore, taught us the super interesting etymology behind this word. As you'll see, the explanation for how this term was born required a bit of a lengthy backstory. After Moore revealed the fascinating truth about the origin of "posh" he explained how only those great big dictionaries that you find in libraries actually spelled this out. You know, those official dictionaries that, due to their huge size and weight, are always left open on the table. Moore was, of course, correct. I remember for several years in the 1970s whenever I'd be in a large public library, I'd go straight to the reference desk where that mammoth open-faced dictionary would be waiting for me to look up "posh." I swear, every time, I'd read that same wonderful definition that Moore had disclosed to us. But that was back when "apple" was a fruit and "google" was just a big number. Enter the internet age. For some unknown reason, it has now become great sport to cast online aspersions about this definition that I'm about to share with you. And these bozos are doing this despite — as you'll see — this particular word origin makes perfect, logical sense. I suppose it's a matter of who you believe. According to this respected scholar, here's how "posh" came to be. In the early part of the 20th Century, large passenger sailing vessels would transport folks, mostly vacationers, from England to India and back. It was a multi-day, one-way voyage. On the way to India, if your cabin was on the starboard side of the ship, you were looking out at the same scene all day and night: a monotony of water. But if your cabin was on the port side of the ship, you were looking out at the ever-changing and varied topography as the ship's route basically hugged the coastline the entire trip. Therefore, the ideal tickets put you in a port cabin on the way to India and a starboard cabin on your return trip to England. Such reservations were extremely expensive. For the most part, just members of the wealthy ruling class could afford such deluxe accommodations. The tickets that were attached to these well-heeled, fortunate passengers' luggage read: "P.O.S.H." for "Port Outward Starboard Home." I say phooey on the naysayers. And I say thank you, Carlisle Moore. Longtime mountain resident and former Sandy Post editor Paul Keller pens his "Beneath Wy'east" column once a month here on the Post's editorial pages.